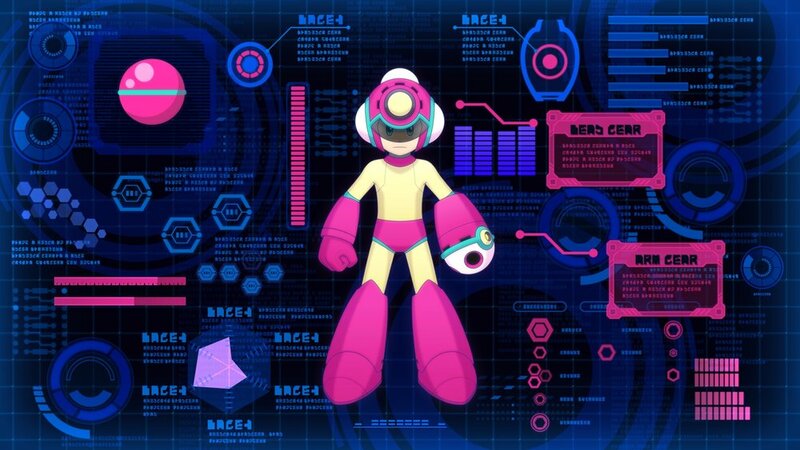 September 06, 2018 / LBD "Nytetrayn"
Capcom is just full of surprises today, as they've not only announced the rumored demo for Mega Man 11, but a new Robot Master as well! First up, Bounce Man is the latest of the Double Gear-enabled Robot Masters to be revealed. A former exercise instructor, Bounce Man was popular with kids and adults alike, but has now used his talents for evil by taking over... an indoor wonderland? Well, Clown Man took over an outdoor theme park, so why not? Boing-Boing Park is unusual in how safe it is. Tosanizer V robots are there to ensure you don't fall into any pits (wait, why are there pits in an indoor -- never mind), and you'll find no spikes except those adorning the security Gabyoalls patrolling the ground. But the safety measures can be their own peril as you'll have to safely navigate the bouncy balls placed everywhere. 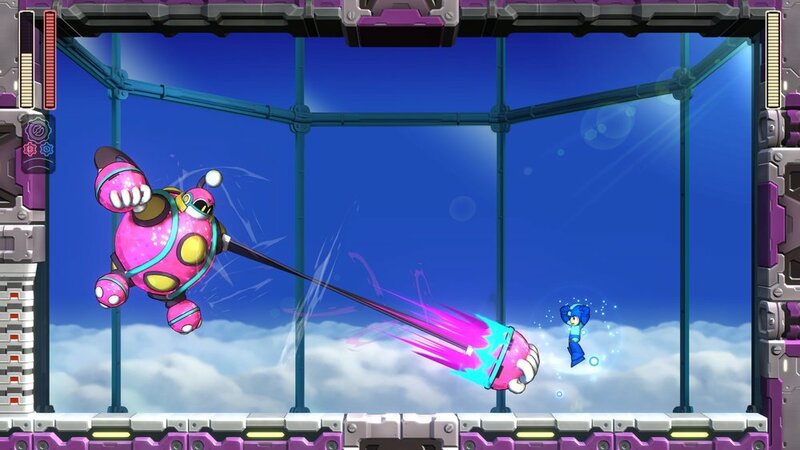 After taking the spring out of Bounce Man's tumbling step, Mega Man will gain the Bounce Ball. This special weapon fires three rubber balls that can be tilted up or down, bouncing all around until they explode into confetti. You can have several shots on screen at once, and the Power Gear beefs up the shots to six per round fired. Hopefully the game will be generous enough to allow you to quickly switch to and fire the weapon as a victory celebration when you beat a stage. While you can't take on Bounce Man today, you can play the game today -- if you have a Nintendo Switch, that is. Xbox One and PlayStation 4 owners will have to wait until tomorrow (September 7th) in order to download it to their respective platforms. Sounds good to me -- I've got a score to settle with this guy after my defeat at his enormous hands at Fan Expo, and I fully intend to knock his block off! The downside is that they seem to have reduced the number of lives available to you in order to do so from five to three. Besides the fourth difficulty level omission, other changes remain unknown at present.